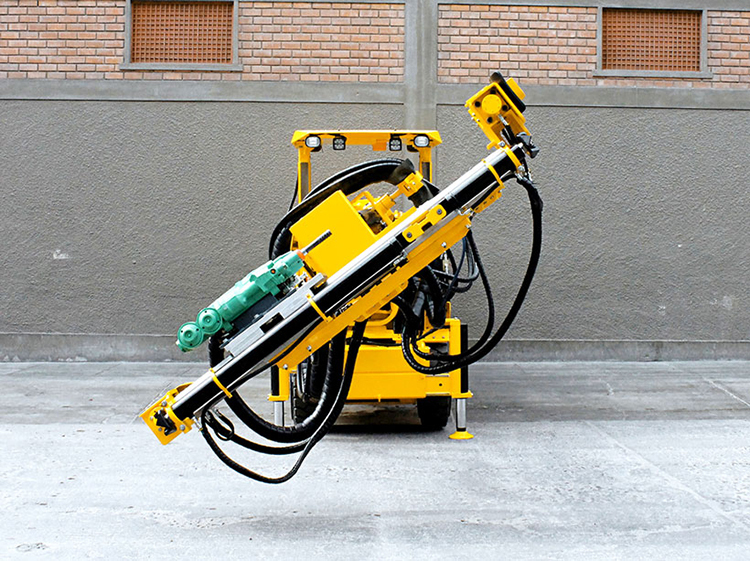 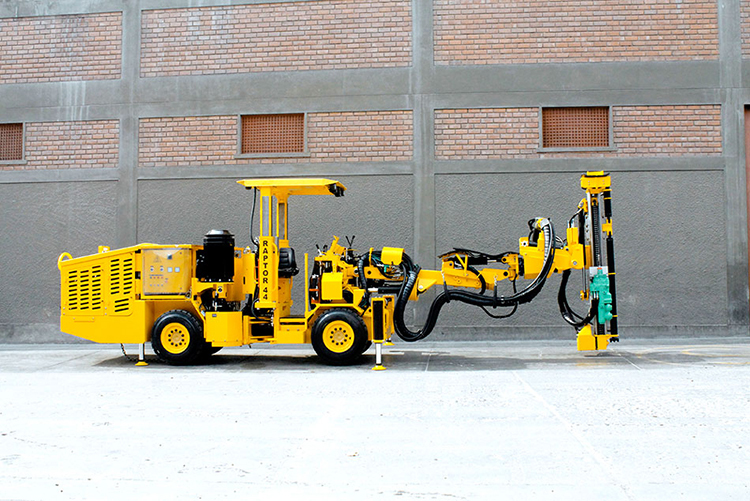 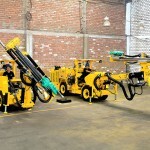 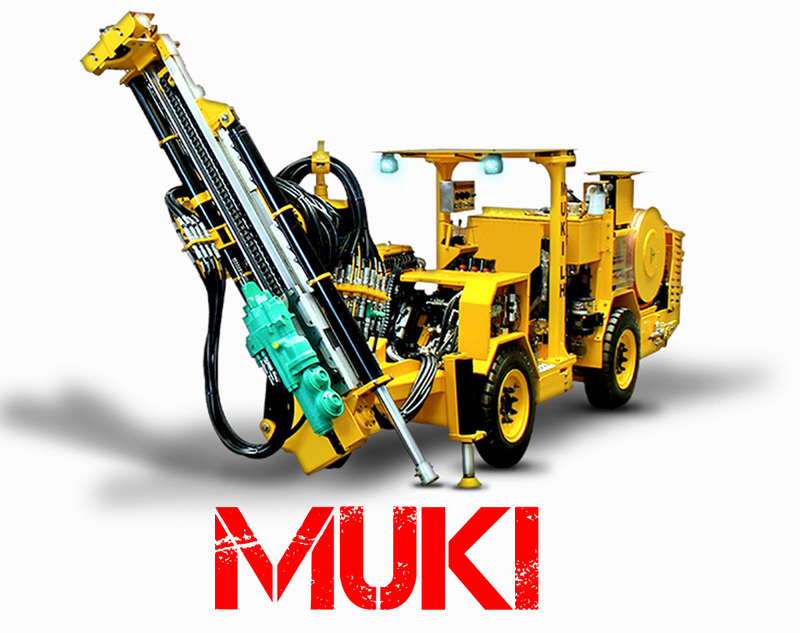 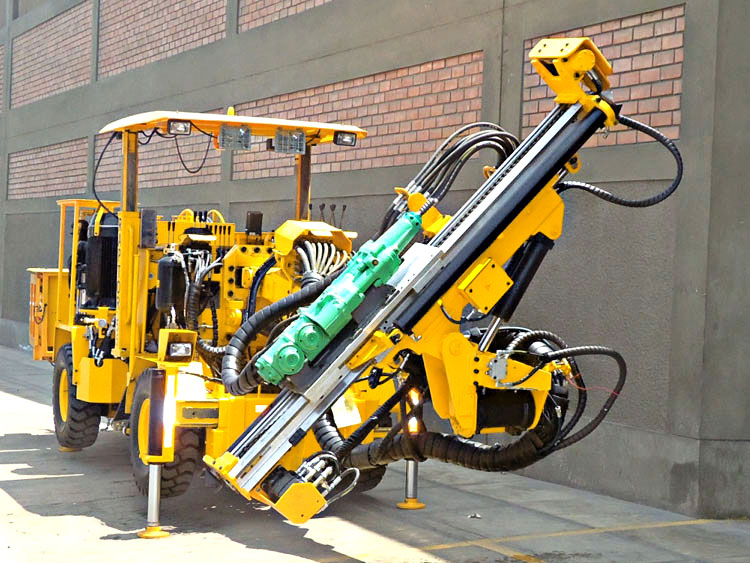 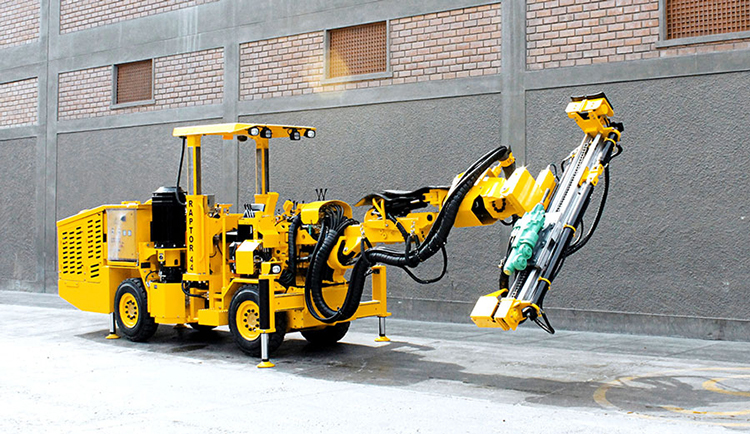 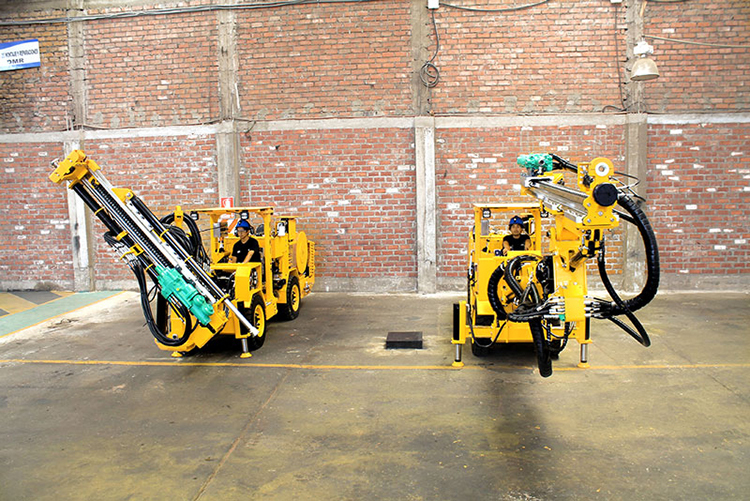 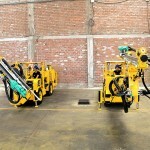 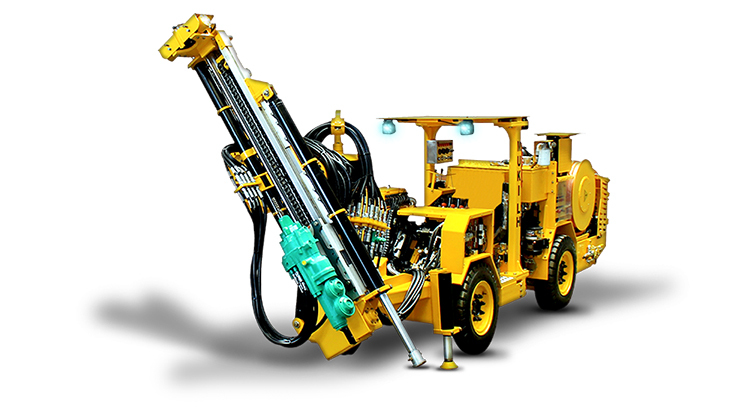 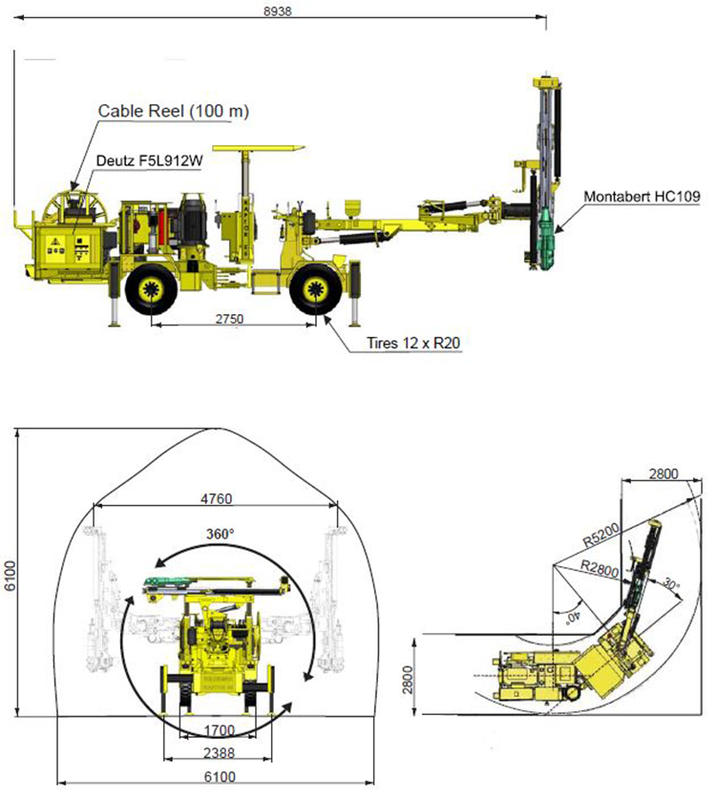 The Muki LH is a production long-hole rig for sections from 2.5 x 2.5 m, and is a 4WD heavy duty diesel carrier with a width of 1.05 m. Manufactured and tested in Peru, this production long-hole drilling machine is equipped with Montabert drifter HC 50 (13 kW) and Drilling Feed available for 0.9 or 1.2 m drill rods. 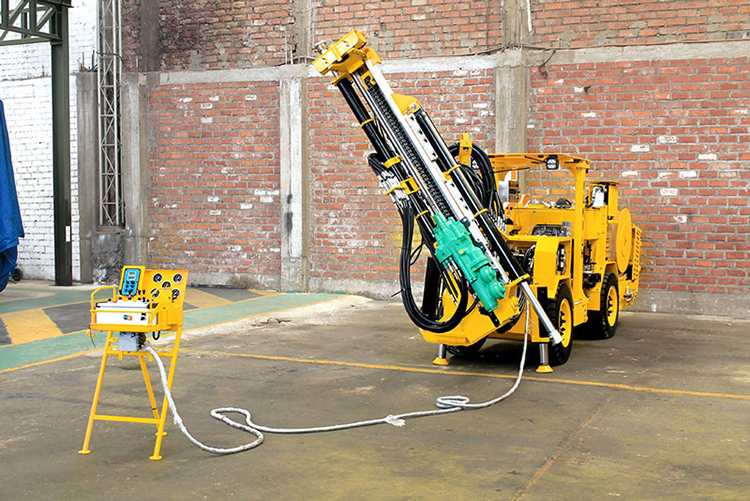 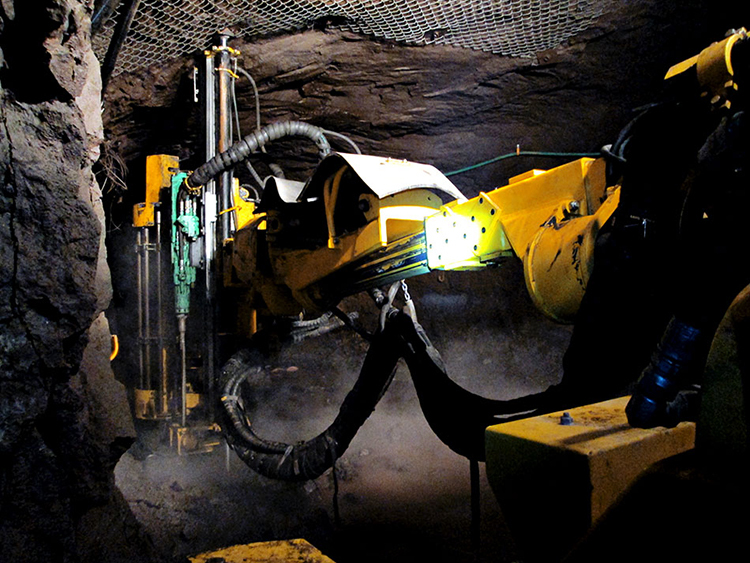 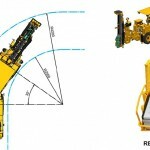 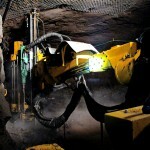 Drilling diameters up to 64 mm, lengths up to 16 m.
Capable of full 360° radial, FAN drilling. 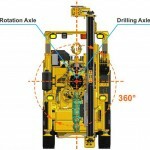 A parallel holding coverage of 1.44 m (with pendulum). 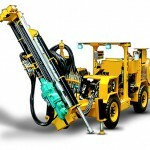 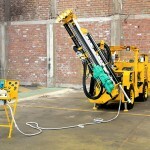 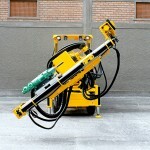 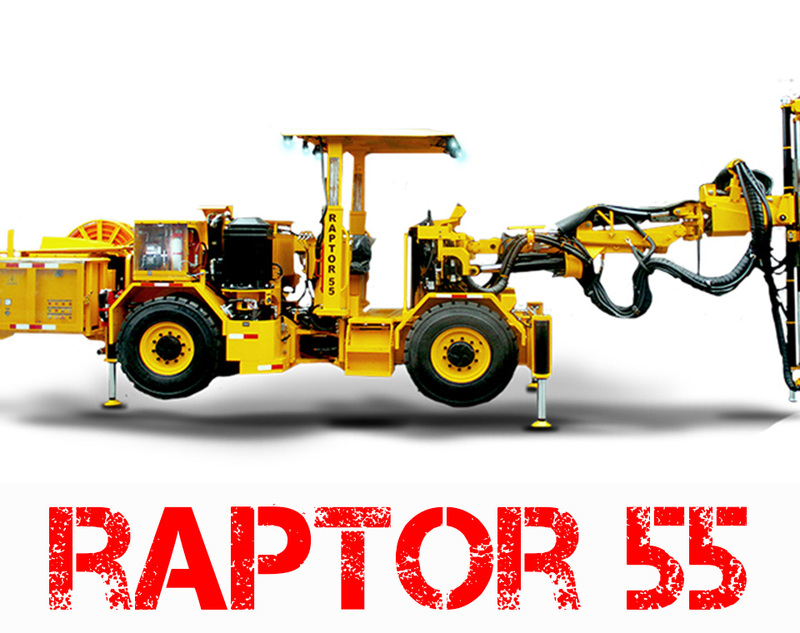 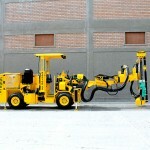 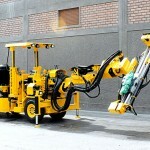 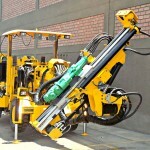 The Raptor 55 is a Long hole Jumbo ‘Boom style with parallel holding’ for high production. 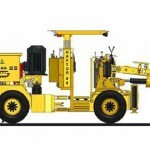 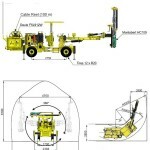 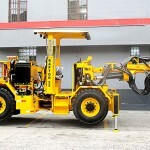 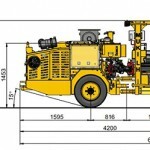 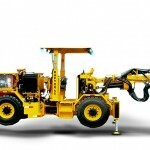 This 4WD articulated carrier is diesel self-propelled with a width of 1.85m. 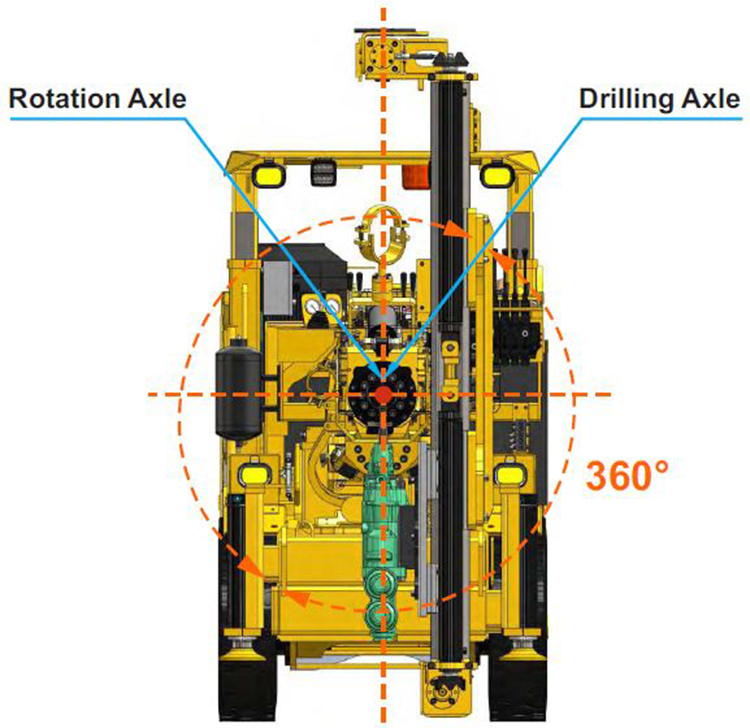 An advantage of the Raptor 55 is the shorter times for Boom positioning since it keeps the Barycenter for radial and fan holes. 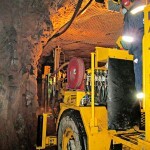 Drilling diameters of 51mm up to 89 mm, and reaming up to 127 mm. 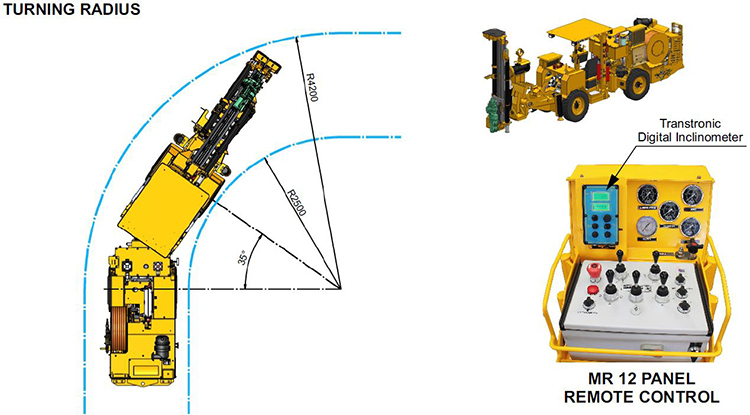 Parallel holding coverage up to 3.00 m width, Radial 360°. 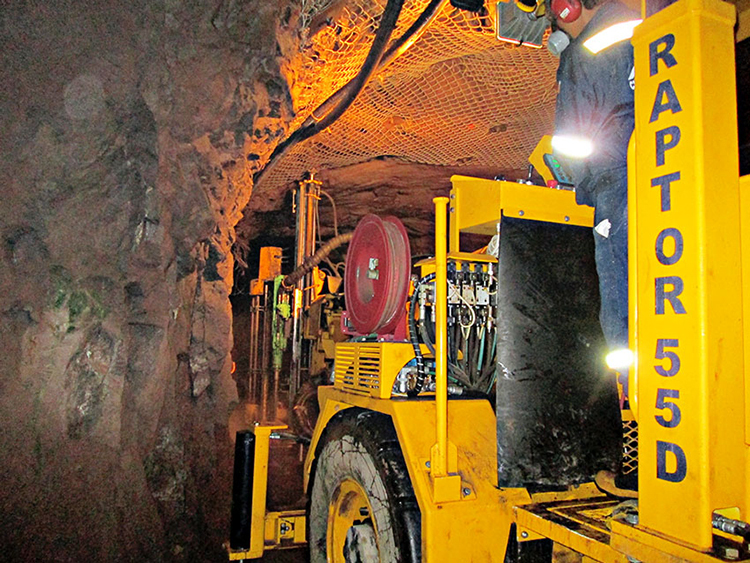 Reaches a productivity of up to 15,000 m per month depending on other factors such as quality of mining services, water, power, planning, and more. 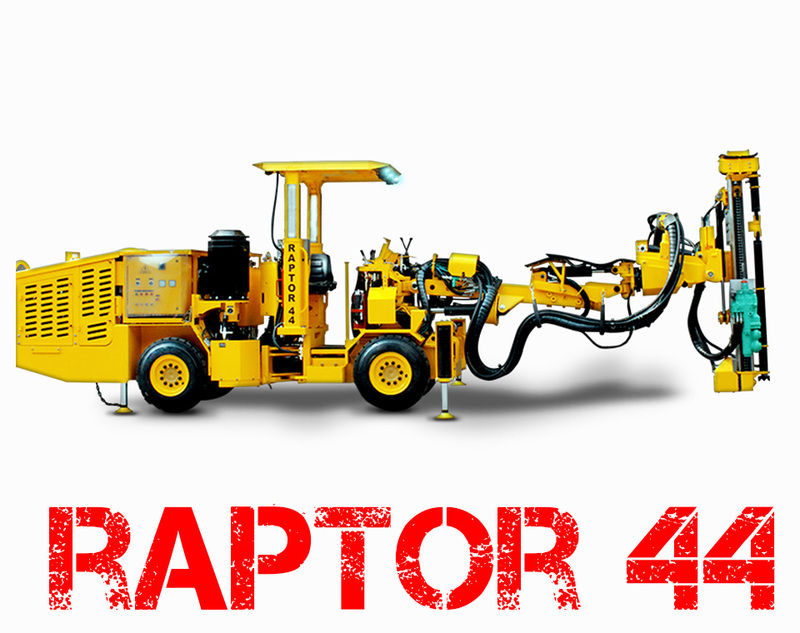 The Raptor 44 is a Long hole Jumbo ‘Boom style with parallel holding’ used for sub level, benching, radial, VCR, auxiliary holes. 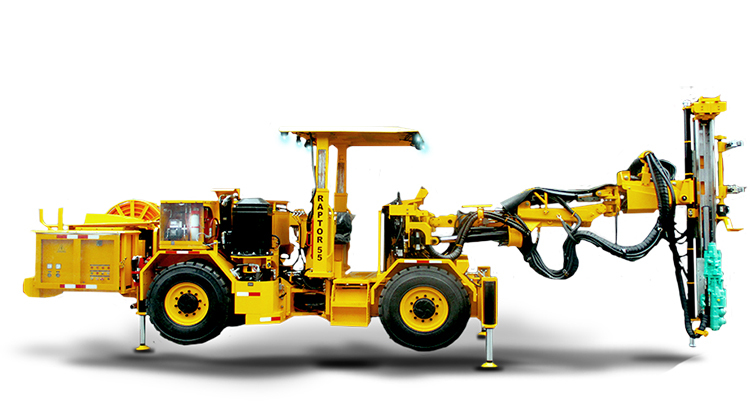 This 4WD articulated carrier is diesel self-propelled, with a width of 1.30 m, featuring a Montabert HC95, Transtronic Inclinometer. 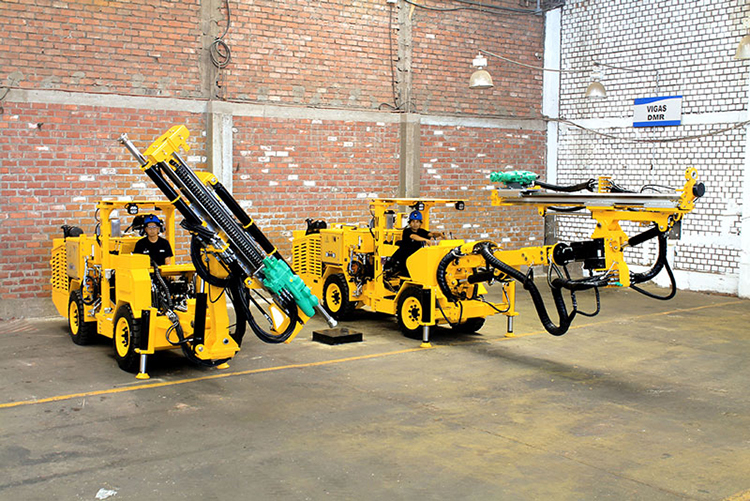 Drilling diameters of 51mm up to 89 mm, and reaming up to 127 mm, with lengths up to 30 m.
Radial 360° and fan drilling keeping the Barycenter all the time.